How will the #MeToo movement impact the 2018 Oscars? 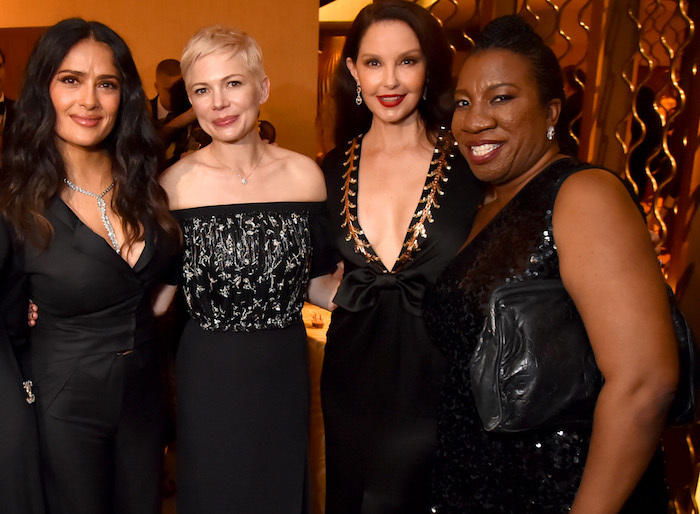 Dressed in all black, actresses and their activist guests at the Golden Globes kicked off awards show season with bold messages: #MeToo and Time’s Up on predatory, sexist, and misogynistic culture — not just in Hollywood, but in every industry. Two weeks later, the SAG Awards featured only female presenters, and the show’s first ever host was also a woman, Kristen Bell. The following Sunday, artists took to the Grammys red carpet wearing white roses in solidarity with the #TimesUp movement, and Kesha brought down the house with an emotional rendition of “Praying,” her power ballad about abuse and recovery. With the Hollywood’s biggest night right around the corner, what can we expect of the #MeToo movement at the 2018 Oscars? The ceremony’s producers want the focus to be on the films, not the feminist movement, as reported by Good Morning America — but that doesn’t mean the movement’s effects won’t be present Sunday night, March 4th. The Oscar producers might want the night to focus on films and not politics, but it will be impossible to ignore #MeToo at the awards show. Although the activists behind Time’s Up have not yet commented on any official plans for Oscar night, several stars like Tessa Thompson have already spoken out about the opportunity the Oscars presents for continuing the important conversation about equality. Viewers at home shouldn’t be surprised to hear actresses and actors speaking about the movement in interviews on the red carpet, and some stars like Scandal‘s Bellamy Young are even calling on E! to remove longtime pre-awards show host Ryan Seacrest from his role in light of recent sexual harassment allegations. Even The New Yorker’s chilling Oscars cover focuses on the #MeToo moment in Hollywood, not the year’s biggest films. Sunday’s ceremony is sure to be punctuated with actions — both planned and unplanned — that honor Time’s Up and the #MeToo movement, but most importantly, the movement’s effects have already shown up in the 2018 Oscar nominations. The outing of several powerful men in Hollywood has led to a fallout that is actually impacting the films, stars, and creatives nominated this year. Will it show up in the award envelopes? We’ll have to tune in on March 4th to find out.